Violence Against Women. Make it stop! Posted on November 26, 2014 | Comments Off on Violence Against Women. Make it stop! 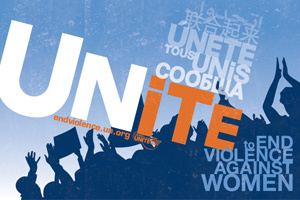 Today, Nov. 25th is the United Nations Day to Eliminate Violence Against Women. Here is my article for Innovate Development in honour of the Day. Comments Off on Violence Against Women. Make it stop! Swazi women performers at the cultural village in Ezulweni. The words “traditional culture” come up again and again when I read the newspaper and speak with Swazi friends. Usually it’s a point of pride, but occasionally the phrase becomes a catch-all excuse for behaviour that doesn’t really jibe with 21st century norms. For instance, a man accused of beating a child or abusing a woman will quite often defend himself, saying “this is my traditional culture.” Plus, there is quite a lot of confusion about “Human Rights” versus “Respect.” My colleagues at SWAGAA who go out to the rural communities have told me time and time again that male leaders are very suspicious about the promotion of human rights because they believe human rights allow women and children to disrespect their traditional laws and customs. Ahh. It other words they fear losing their absolute grip on authority. 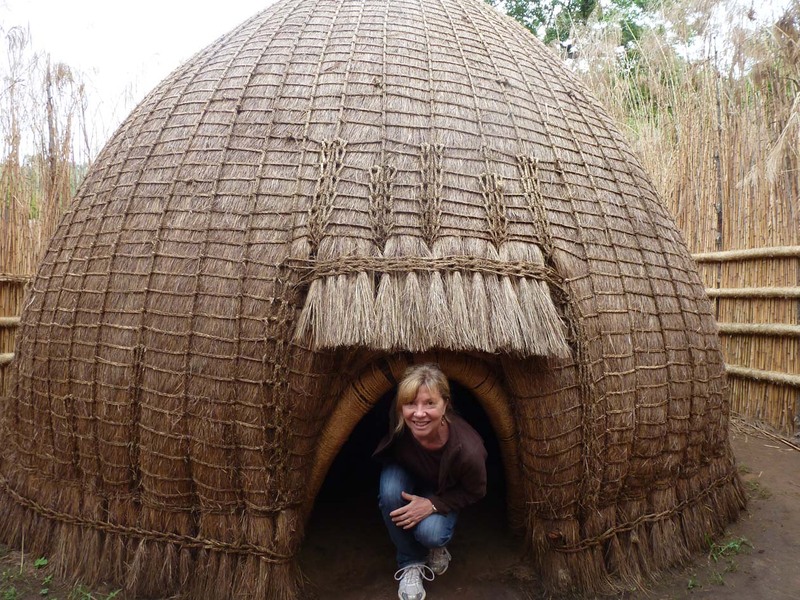 Swaziland’s version of Pioneer Village. 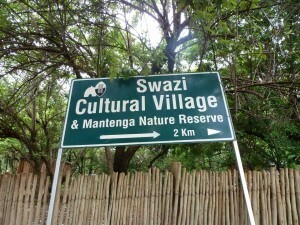 Swaziland is a country full of contradictions, just like any place. 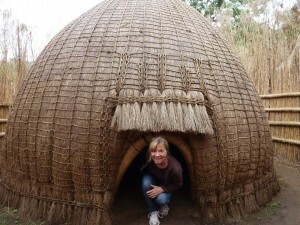 To get a little insight on the “traditions,” I visited a cultural village in Ezulweni. 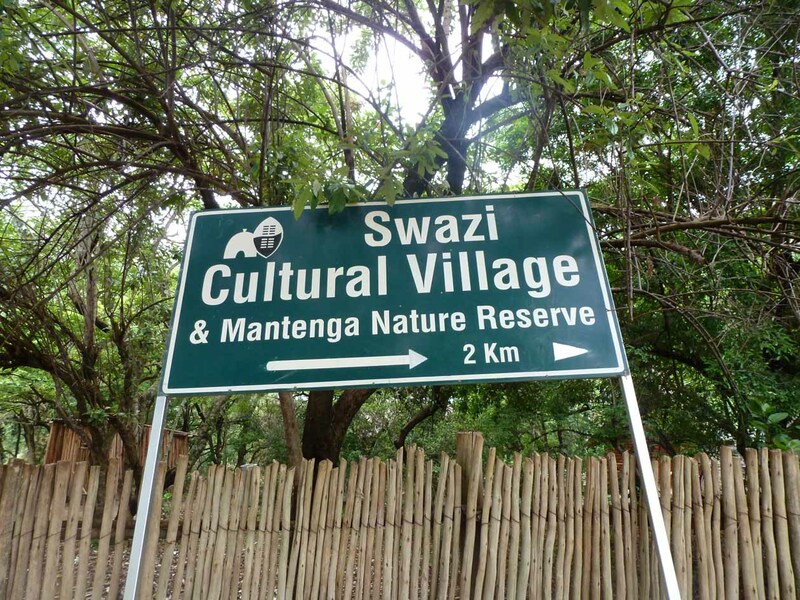 Built for tourists on a lovely piece of forested land with frothing rapids, the village demonstrates what Swazi life was like 100 years ago, and some of it still holds true today. Checking out one of the compound’s beehive huts. These aren’t used very much anymore, but the traditional social norms from these times are alive and well. 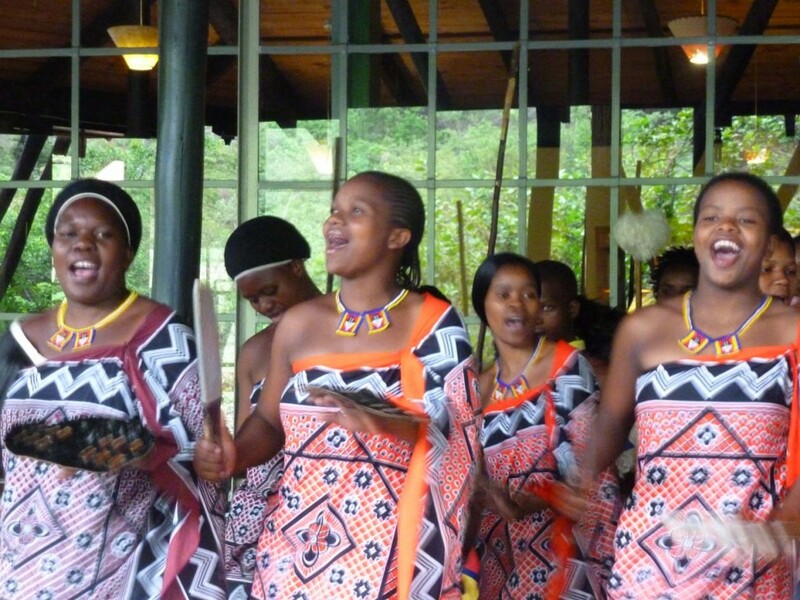 Swaziland’s social structure is based on clans that intermingle through marriage. In a “traditional” marriage the bridgroom’s family pays “lobola” a dowry, in the form of cattle, in keeping with the status of the bride’s family. 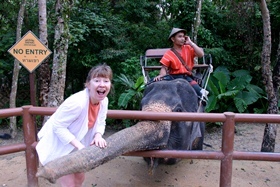 Our guide noted the usual bride price was 17 head of cattle for a virgin. At a party I attended recently, a well lubricated Swazi guest noted he’d pay 24 cattle for my Australian friend Isabel. She said she’d cost way more. Lead male dancer at the cultural village. When a groom pays lobola, any child born of the union belongs to the father’s family. This can get quite complicated if the father dies and the mother wants to remarry. In fact, widows often have a really difficult time here since “traditionally” the deceased husband’s land, belongings etc. revert to his side of the family and a widow will find her home cleared of possessions if she leaves it unprotected. Although constitutionally women have rights and can own land, traditionally they are treated like minors. Patriarchy is very much the norm in Swaziland and women often have a difficult time enacting their constitutional rights. 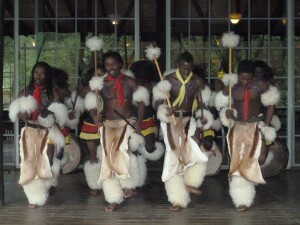 Traditional male group dancing demonstration at the cultural village. I’ve written about the Umhlanga Dance, where girls don tiny skirts and sashes and perform before the King and Queen Mother. 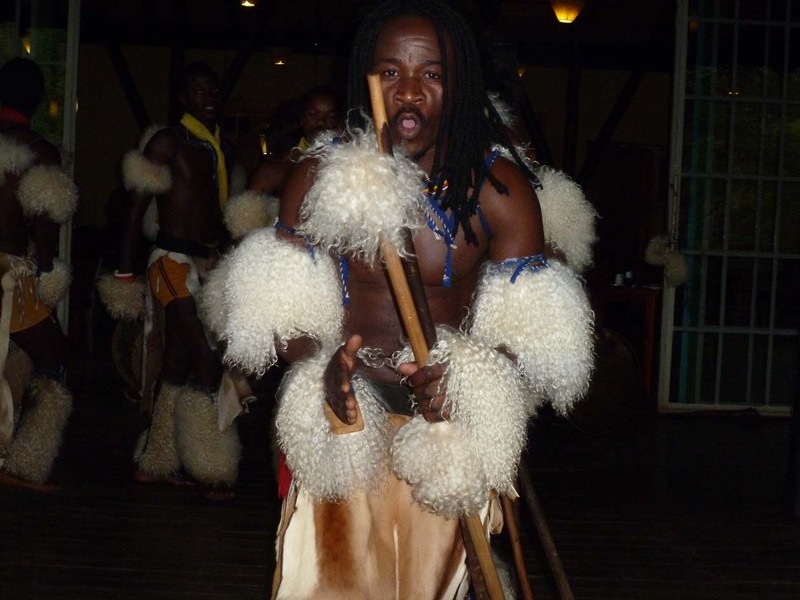 The men’s equivalent celebration and right of passage is the Incwala ceremony, which is held in December. “Bemanti” (people of the water”) go to the Indian Ocean to collect water, a symbolic act connected to the king’s power, and return to the royal kraal in Lobamba (the King’s spiritual home). On the full moon, youths from all over the kingdom travel to collect scared branches of the “lusekwane” shrub (a species of acacia). On the third day of the ceremony a bull is ritually slaughtered by the youths to instill solidarity. I have read various salacious pieces on the Internet about this practice, which involves the King. Not going to comment here. On the fourth day the King dons his ceremonial garb and joins his “warriors” in a traditional dance. 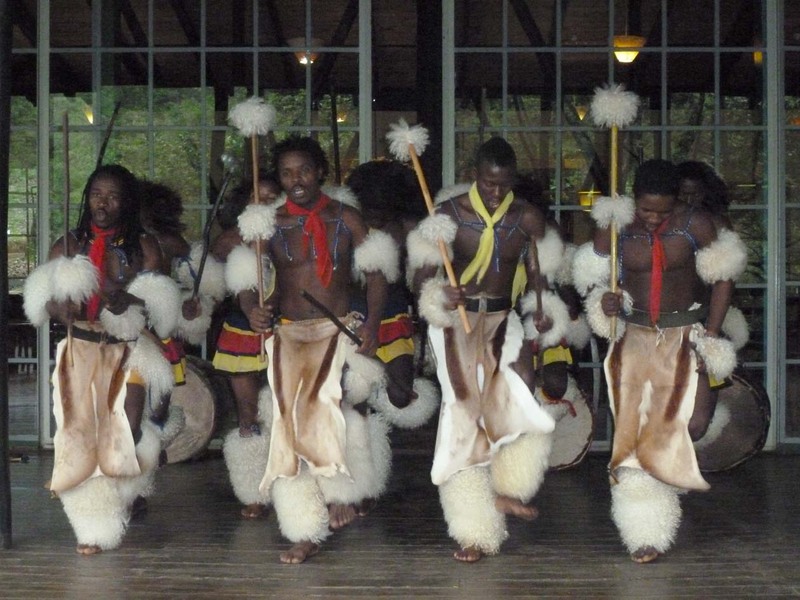 Boys in Swazi culture are part of regiments that perform dances together during Incwala. The ceremony concludes with rituals involving the harvest and blessings of the ancestors. 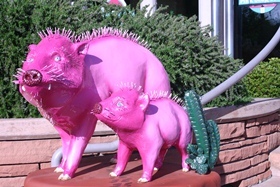 This year the Incwala ceremony will be around the end of December. That’s one way to ring in the new year. 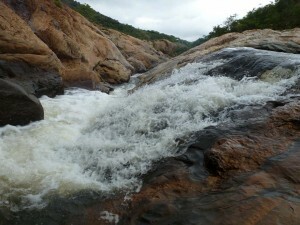 Rapids running through the cultural village property. Gorgeous.